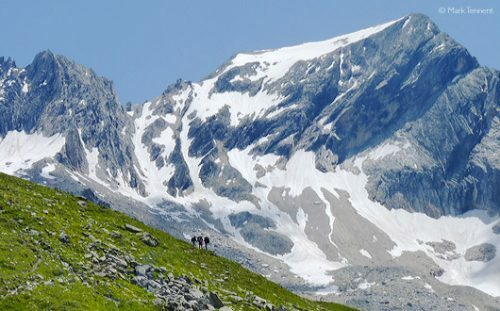 One of the great beauties of the Vanoise walking tour, apart from the superb scenery, is that you don’t drop down to a valley again until the very end. Likewise you will not pass through villages, or walk close to roads. Having said this, the Tour is well provided with mountain refuges which provide simple accommodation, and where you’ll meet like-minded people. It is also, in my opinion, a better tour than the one described passing through the village of Val d’Isère and Tignes with all the cancerous protuberances of the ski industry. Compared with the Tour du Mont Blanc, you remain at altitude during the whole tour and need only touch tarmac road for 50m from start to finish. There’s a choice of natural starting-points, namely Pralognan-la-Vanoise, (accessible from Moutiers in the Tarentaise valley) or Modane (in the Maurienne Valley). The route I will describe starts from Pralognan-la-Vanoise. …you remain at altitude during the whole tour and need only touch tarmac road for 50m from start to finish. 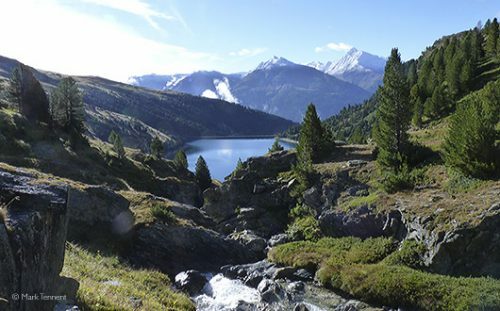 If you take the route in a clock-wise direction, the first day is a gentle one which leads via the Lac des Vaches to the Col de la Vanoise, at the foot of the Grande Casse. The route follows the ancient “Route du Sel”; an old trading route going back many centuries. 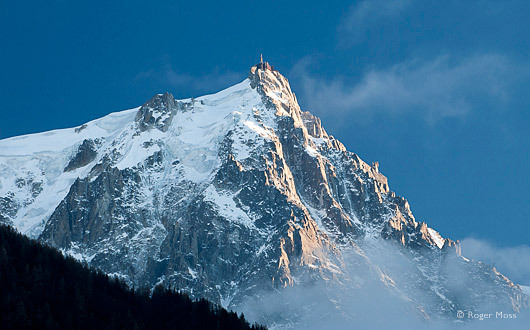 The col, with the Refuge Félix Faure, makes a wonderful spot in which to spend the night. The marmottes here are particularly friendly. If you have energy to spare you can explore the surrounding area and perhaps walk up to the edge of the glacier. The path now heads past Lac Bond and the Lac du Col de la Vanoise, only losing a little height, before contouring right around the hillside. There’s a junction here with the path to Entre deux Eaux and a road to Termignon, in the Maurienne. The path climbs gently but in general follows a natural balcony, passing below the glacier de Pelve and above the deep gorge of the Doron du Termignon. The views to the south are outstanding, a panorama of mountains which form the Italian frontier (the only road across this range passes over the Col du Mont Cenis). Soon the Arpont Refuge comes into sight, built into the moraine and thus protected from avalanches. The journey continues high above the Maurienne, crossing tumbling streams on the steep flanks of the mountains below the Dent Parrachée. The shepherds’ huts of La Loza perched on a spur are passed, before a zig-zag descent crossing some steep ravines brings us out above the village of Aussois. Here two lakes, the Plan d’Amont (higher) and the Plan d’Aval (lower) provide hydro-electric power. A few ski-lifts make their appearance as the national park’s boundary bends inwards. There’s a choice of refuges: Plan Sec, La Dent Parrachée or the Fond d’Aussois. Take your pick, but I like the traditional, rustic Dent Parrachée with Franck, the friendly guardian. Today’s ‘normal route’ crosses over the valley and passes via the Col Barbier (2287m), sharing the line of the GR5 on its journey south, before traversing more alpine pastures. Be aware of the “patous” – dogs who may be guarding the herds of sheep (the best advice is to stop and wait for them to see that you are not a threat, and then to move slowly). The route now drops through pine woods and passes through the edge of a boulder field before regaining height to reach the L’Orgère. Here there’s the first sight of tarmac since leaving Pralognan-la-Vanoise, and a chance for a bit more comfort if you wish. Those wanting more of a challenge can take the ‘direct’ route via the Col de la Masse (2923m), with an equally challenging (for the knees) descent to the l’Orgère. This area is often frequented by chamois. The next section climbs in a few zig-zags above l’Orgère before easing off and eventually passing the Lac de la Partie. Above and to the left is the Aiguille Polset and the Glacier de Gébroulaz, although the route makes for the natural crossing point, the Col de la Chavière (2796m), the highest ‘obligatory’ col on any GR in France. A short, steep descent on loose ground leads to a meandering route through old moraine and boulder-fields. Soon the Refuge Peclet-Polset is reached, a very modern refuge whose predecessor was destroyed by fire. 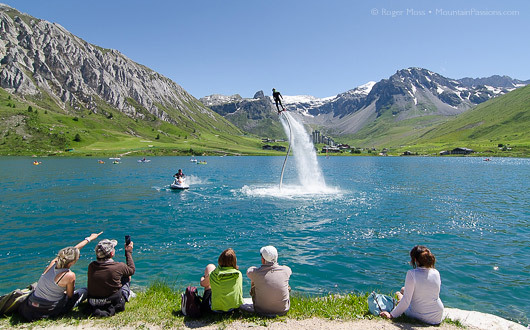 If you want a little more exercise you can reach the Lac Blanc in about 15 mins from here. The valley which extends below is the start of the Doron, and soon you are among the pastures again on a well-defined track. Make a choice at the farm of Le Ritort either to carry on in the valley bottom, or you can climb up and traverse below the Glacier de Génépy before regaining the valley floor near the hamlet of Prioux. Here the tarmac commences again, but leave the end of the hamlet and walk down the left-hand bank to reach the road which is crossed, to immediately follow a track all the way to Pralognan-la-Vanoise, and the end of the Tour. You should only require normal mountain walking attire, plus a sheet sleeping bag for using in the refuges. The official website (English version) packed full of information about the National Park, it's natural history and ideas for activities. There's also practical information to help plan your travel and where to stay. Adapted excursions and activities for disabled visitors. 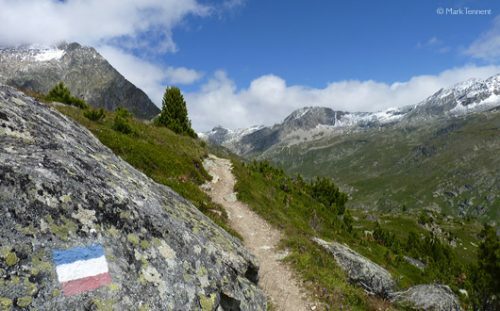 There are a range of initiatives making the Vanoise more accessible to visitors with a disability with tactile information panels and adapted walks. 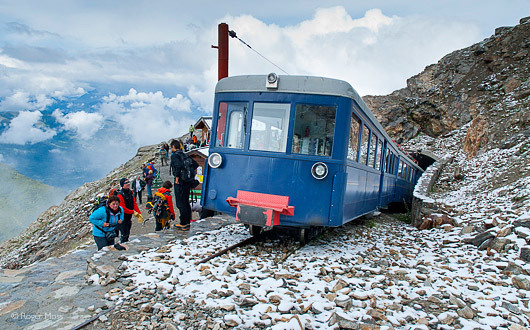 There are a few mountain huts with facilities to host overnight guests with reduced mobility. Indispensable guide (English version available) to the Refuges of the Vanoise with full details, prices and booking information. Mark Tennent has also produced his own guide to staying in mountain refuges. 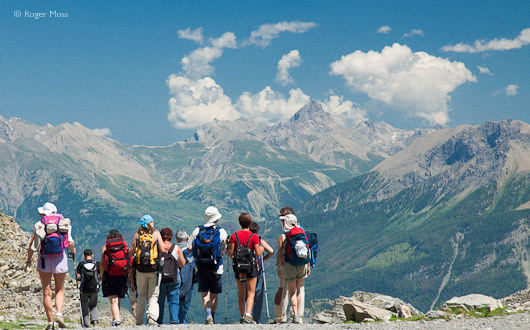 The Vanoise National Park was France's first national park created in 1963 and covers an area of 520 sq km. 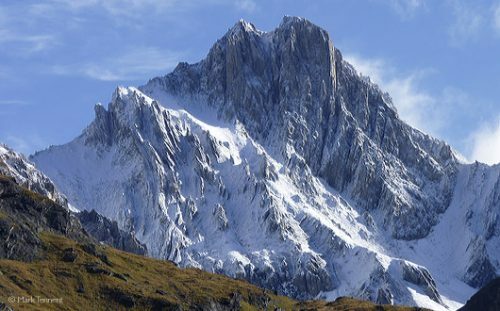 The culminating point of the Vanoise is the Grand Casse which rises to 3855m which was first climbed by William Matthews in 1860. The Park shares a 15km common boundary with the Grand Paradiso National Park in Italy. There are over 107 summits that exceed 3000m. The Vanoise, located in the department of Savoie, stretch from the border with Italy just beyond Val d'Isère and Bonneval-sur-Arc to the Col de la Madeleine bounded by the valleys of the Tarentaise and Maurienne. The Savoie department formed part of the independent kingdom of Savoie Sardaigne which only became part of France in 1860. Savoie's administrative centre is located in Chambéry. 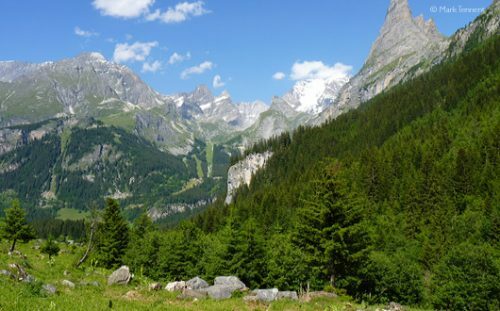 The Vanoise National Park remains unspoilt due to strict controls on construction and development. Keep your eyes peeled for the relatively rare Bearded Vulture (Gypaete Barbu) with its wingspan approaching 3m! It feeds on carrion, so is one of nature's recyclers, and has the habit of dropping large bones from altitude to smash them open on rocks. The vultures have a territory of between 100 and 700 km2, and there's a pair nesting not far from Peisey-Nancroix. The Vanoise is famous for its large population of Bouquetin (Ibex) who were almost hunted to extinction. Now there are almost 4000, and they are relatively approachable. The males are identified most easily by their large, almost 1meter-long, scimitar-shaped, knobbly horns. The females have shorter horns which are smoother. Chamois (Rupicapra rupicapra) are highly agile and have hooves adapted to their preferred terrain of steep, rocky ground, where they feel safe from the threat of two-legged hunters. They have a white blaze on their cheeks and short horns which curve just at the top. If you're lucky you may see a young chamois (cabri) with its mother. 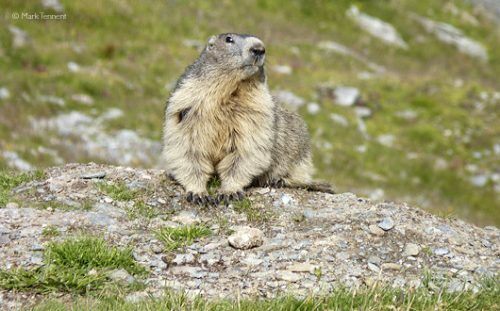 You will undoubtedly encounter the cuddly-looking Marmotte, but your first awareness of its presence is likely to be a shrill whistle - a warning cry to alert other members of their group of a potential threat. The nature of the whistle changes to reflect whether it's a ground or aerial threat. The main limiting factor is the availability of the mountain huts (refuges); the second, in the spring, being the snow remaining from the winter. The refuges normally open around mid-June (exact dates can be found on www.refuges-vanoise.com) and they typically close in mid-September, despite the weather often being good at this time of year. Wildflowers are probably at their best in June and early July, depending how quickly the winter snows melt. Naturally, you should come across the stunningly-beautiful blue gentiane, and keep your eyes open for the iconic edelweiss. Alpine Wormwood, also known as génépi, are used to make the pale gold liqueur of the same name, commonly served in the region as an apéritif or after-dinner digestif. 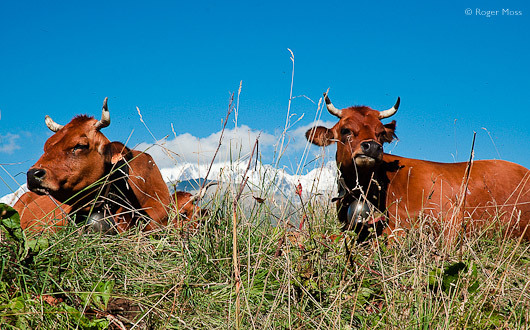 Please note that in the Vanoise National Park picking wildflowers is strictly forbidden.